1.1. Commencing on the Effective Date, and continuing through 9/12/2018 (the “Development Period”) COMPANY will use its reasonable and continuing good faith efforts to obtain financing and/or a financing commitment for the Creation of the Series. During the Development Period, COMPANY, in conjunction with Artists, will develop a Proposal and a presentation (the “Pitch”) for meetings with Financiers. 1.2. The Parties acknowledge that COMPANY’s representatives, Entertainment Company, and Representation Company (“Representation”), will represent COMPANY and COMPANY’s obligations under this Agreement with regard to any and all aspects of the Series, including but not limited to setting up and leading Pitch meetings and negotiations with financiers. 1.3. COMPANY shall have the exclusive right to shop the Proposal and set up Pitch meetings regarding the Proposals during the Development Period. COMPANY shall inform Artists of all Pitch meetings it may attend during the Development Period and Artists may have the option at COMPANY’s discretion to attend and participate in such meetings either in person or via a phone conference. Artists shall make themselves reasonably available to attend and participate in Pitch meetings at COMPANY’s reasonable request. 1.4. Prior to the expiration of the Development Period, if COMPANY is in meaningful negotiations with Financier(s) in connection with the Proposals (e.g., where Financier(s) have made bona fide written offers for the Proposal and COMPANY is actively responding, amending or agreeing to the terms of the offers), COMPANY will have the right, but not the obligation, to extend the Development Period for the period of negotiation, but no longer than three (3) months, by sending written notice to Artists prior to the expiration of the initial Development Period pursuant to Paragraph 1.1 above and such written notice shall explain the basis of the meaningful negotiations including, but not limited to, identifying the parties involved in such negotiations. COMPANY shall keep Artists informed of all material terms regarding proposed arrangements with Financiers regarding the Proposal, if any. COMPANY will disseminate such material information on a prompt basis when requested by Artists or their representatives (including, but not limited to, providing Artists with complete and true copies of all sections of agreements this shall mean all information that pertains to the Artists’ rights under this Agreement and all terms and conditions of this Agreement. During the Development Period (and thereafter if a deal is made with a Financier), COMPANY will have the exclusive right to represent the Series (including any television spin-off, sequel or prequel (spin-off is defined as a new television production which has any characters, Talent, locations and/or unique elements in a COMPANY Proposal or in the materials regarding the “Series Name”, whether in documentary, docu-drama, docu-soap or fictional-situational genre/format) as producers/executive producers. COMPANY agrees that Artists shall be attached to the Series so long as COMPANY is attached (including any television spin-off, sequel or prequel and derivative works and all ancillary rights to the Series, including, but not limited to, the exhibition of the Series in any other medium where now known or hereinafter discovered). Artists’ particular deal points concerning spin-offs and sequels will be negotiated in good faith with COMPANY at the inception of such opportunity. For the sake of clarity, History Channel’s “Cajun Pawn Stars” is a spin-off from History Channel’s “Pawn Stars,” and Science Channel’s “Oddities” is a derivative of “Pawn Stars.” Furthermore a derivative work as it relates to this Agreement is any work that may be materially similar to the concept but does not utilize locations or characters who may have appeared in the Pilot or Series. 2.1 In the event that a Financier agrees to finance the further development of the Series in the form of a development deal, Pilot or Series order in the form of a specific order of episodes, COMPANY and Artists will have full and complete approval over their respective services, the terms of their respective agreements for such services and shall have access to all information about the Series (including materials, documents and other related information), and neither Party will have the right to proceed with the Creation of the Series until the other Party has given its full and complete approval to the terms of its respective agreement; it being agreed by both Parties that neither Party will unreasonably withhold its approval so as to frustrate the Creation of the Series. Series in first position. Furthermore, subject to Network approval based solely on its determination that it will not grant any, it is understood that ARTISTS shall receive an origination credit. Notwithstanding the foregoing, it is understood that COMPANY shall present a re-edited version of the “pitch-tape,” congruent with the quality and consistency that COMPANY deems necessary to pitch an unscripted television property to potential Financiers and Networks. Such re-edit shall require COMPANY to become materially involved with the Talent (as defined below) and “produce” a relevant pitch. Based on this additional work COMPANY may elect to assign COMPANY designated personnel to share such credit with ARTISTS. For the sake of clarity, ARTISTS shall not be entitled to any further credit from COMPANY or the Network. However, COMPANY agrees to review and consider ARTISTS’ experience to work in a full or part-time production capacity role on the Series while in production in accordance with television industry customs and practices in relation to such role. 2.3 As between COMPANY and Artists, all business and creative decisions in connection with the Series in association with other parties regarding a network or financier deal shall be made by COMPANY and any approval rights accorded to the Parties hereto by a Financier will be exercised solely by COMPANY . 2.4 The Parties acknowledge and agree that ARTISTS, additional COMPANY designated personnel, and COMPANY shall be attached as the Executive Producers and production companies, respectively, with regard to any Series, that derives from the Series’ Proposal or theme for the life of such Series(s), if any. Their duties, compensation and any other terms of their agreements shall be negotiated (with a third party Financier) in good faith and shall be in keeping with prevailing industry standards for such roles and the parties’ quotes for similar productions. 2.5 If a Series is produced by an outside network, COMPANY shall have a minimum of eight (8) consecutive, dependent, exclusive and irrevocable options (each a “Series Option”) to engage Artists to render development and production services for all episodes of the Series produced. If COMPANY, in its sole discretion, elects to exercise any Series Option, such option(s) shall be exercised in writing based on a schedule that has the same terms as the agreement between COMPANY and the Financier. Such options shall be subject to extensions for default, disability and force majeure as set forth in the provisions of the agreement between COMPANY and the Financier. In the event that Financier’s agreement imposes greater obligations upon Artist, directly or through COMPANY, such greater obligations shall control the terms hereof, provided that any granting of additional rights in any media beyond those granted in this Agreement contained in the options shall cause the parties hereto to negotiate in good faith additional compensation for such rights. 2.6 It is agreed that Artists shall pay a total collective fee of Fifty Thousand United States Dollars ($10,000, $25,000, $50,000 – $100,000 USD) per three, six, nine or twelve (12) 30-minute episodes respectively (“Fee”) to COMPANY during the Development, Pilot and the initial production cycle of 12 months. This can be divided into a Deposit and monthly installments as agreed to be paid on the 1st of each month. Before any episodes are released and aired, at least 50% of this fee must be paid and full. In the case of the procurement and execution of an agreement with an Network or Financier, it is agreed that Artists shall be paid a total minimum fee of two Thousand United States Dollars ($2,000 USD) each per one 30 minute episode (“Fee”) from COMPANY during the Pilot and the initial cycle, which shall be defined upon COMPANY and Financier’s agreement. Artists shall have the right to direct such payments to be made to them individually or to a group designee by the COMPANY as directed by the Artists. The Fee shall increase, on a cumulative basis congruent with COMPANY’s increases from the applicable Financier or Network, for each subsequent season of the Series. Should Network green-light a certain thirty (30) minute episodes, the Artists’ Fees shall be prorated accordingly. The fee for Artists shall be payable on the same schedule as which COMPANY receives payments from the financier. For the sake of clarity, COMPANY will keep all savings associated with producing the project. If Artists procure sponsors for their show or COMPANY, after the initial investment fee has been received, they will be entitled to 50% of all sponsorships in association with their project and 20% of all sponsorships the network procures. Sponsorship packets, information and links will be provided for payments to be made on a monthly basis. 2.7 Modified Adjusted Gross Receipts (MAGR) will be defined as any revenues received by COMPANY from the exploitation of the Series or any derivative projects thereof in any media including but not limited to videogram, short form programming, merchandising and publishing. Revenues generated will be paid out 50% to COMPANY and 50% to Artists. COMPANY shall account to Artists for MAGR on a calendar quarterly basis until one year following the initial telecast of the last episode of the Series and thereafter on a semi-annual basis for three years and on an annual basis thereafter, each statement (and payment if any MAGR is due) to be issued within 45 days following the close of the applicable accounting period. Artists shall have the right to inspect and copy COMPANY’s books and records relating to the Series and the MAGR upon ten days’ prior written notice to COMPANY and not more than once per year. Artists shall bear the cost of any such audit unless the audit reveals an underpayment of more than 5% for the period subject to audit, in which case COMPANY shall reimburse Artists for the costs incurred by Artists in connection with such audit, in addition to any unpaid amounts, and interest at prime rate thereon. Representation shall seek a package commission to be split 50/50 between both agencies, provided such commission is not deducted from Artists’s portion of MAGR. MAGR for purposes herein shall be defined, calculated, and paid the same for Artists as for COMPANY, without any deductions from MAGR reported and paid to COMPANY from a network. COMPANY shall provide Artists with copies of all statements and documents furnished by a Financier pertaining to the Series, including but not limited to all initial drafts and final agreements between COMPANY and a Financier. Artists acknowledge that they shall not have the right to approve agreements with Financiers. 2.8 Artist’s represent and warrant that they have the ability to enter into this Agreement free of any liens and/or encumbrances, and that they are effectively assigning all rights, title and interest to the Proposal (as well as all results and proceeds in connection therewith) only to the extent and for the term outlined in this Agreement, as well as the associated Talent as described and outlined in Schedule A to COMPANY. Furthermore, Artists shall assign all Talent to COMPANY and in working with COMPANY shall extend the terms of that agreement to expire at the earliest on the termination date of this Agreement, providing Talent shall be exclusive in the non-scripted television genre as a series regular for all U.S. television and digital media, and in merchandising specifically for the Series (in-character, it being acknowledged that Talent will be appearing as himself and is not playing a fictional character, and as such Talent’s name and other personal attributes, as they appear in the Pilot and/or Series, may be used in connection with such merchandising), and commercial tie-ins, provided they are not an endorsement of any product or service not related to the Series. Any net proceeds from the exploitation of said rights will be divided and have the right to exploit publishing or merchandising rights pertaining to the Series. Talent’s exclusivity hereunder shall automatically terminate upon the earlier of the expiration of any Series Option which Producer fails to exercise by the applicable Series Option date, or the initial telecast of the last episode of the final Series Year for which COMPANY had a Series Option. As between Artists and COMPANY, COMPANY or its assignees shall be solely responsible for payment of any fees to Talent and other production participants according to industry standard terms. 2.9 COMPANY acknowledges that if Artists have created footage of and relating to Talent (“Footage”) that is Artists’ sole property. Artists grant COMPANY an exclusive license during the Development Period to use the Footage in Proposals and Pitches. If an agreement is executed with a Financier for a Series, Artists shall assign all of the footage to COMPANY for non-restrictive use in the Series. 2.10 Artists acknowledge and agree that the consideration listed herein is full consideration for the Artists and even if Artists is engaged or volunteers to work in any capacity on the Series. It is understood that the Artists’ capacity on the Series currently is understood to be that of a Consultant. Subject to the terms of this Agreement, COMPANY shall allow Artists to provide reasonable creative input into the show, it being understood that COMPANY has full creative control. At the end of the Development Period, Artists shall be entitled to develop, render services for and authorize the use of Talent’s name and likeness on behalf of other audiovisual media, whether web-based, mobile or otherwise. However, if a Financier contacted by COMPANY or Representation agrees to finance the further Creation of the Series based on the specific Pitch and using Artists or Talent as the star talent within 12 months of the end of the Development Period, and COMPANY is not involved in the production of the Series as described herein, then Artists shall pay COMPANY ten percent (10%) of all monies received by it in connection with the Series. Further, if, within 12 months of the end of the Development Period COMPANY attempts to produce or enters into any agreement for the production, creation or distribution of the Series, then the Artists shall be attached to the Series and all terms and conditions of this Agreement shall apply to COMPANY and Artists. For clarity, if the Development Period terminates and no agreement has been executed with a Financier for the production of a Series, all rights granted by Artists hereunder shall revert completely to each of them, and the parties shall have no further obligations to one another, other than those contained in Sections 3, 4, 5, and 6 hereunder. The Materials as defined below shall be assigned to Artists without any liens or encumbrances. The parties agree that, the Proposals and all other materials created under this Agreement (the “Materials”) shall be considered works for hire for COMPANY for use in a television program or any other audiovisual media during the Development Period and any extensions thereafter. If it is determined that any of the Materials are not works for hire, then this Agreement shall be deemed a current assignment to COMPANY for exclusive use with Artists, of all rights, title, and interest in and to the Materials, including, but not limited to, the worldwide copyrights and moral rights in the Materials and all ancillary and subsidiary rights in the Materials during the Development Period and any extensions therafter. COMPANY agrees that it shall use the Materials solely for purposes of developing, pitching and producing the Series with Artists. If a Series is not ordered during the Development Period, COMPANY shall have an irrevocable license to use the Materials towards the Creation of a Series with Artists,, provided that the terms of Section 3 shall apply. Artists warrant and represent that Artists have the full right and authority to enter into and fully perform this Agreement, that all rights in and to his/its contributions to the Proposals and any other Materials are solely owned and controlled by Artists, and that Artists’ contribution to the Proposals, the Materials or the Series do not and will not violate or infringe upon the rights of any person or entity. Artists will indemnify, defend and hold harmless COMPANY from any third-party claims and/or costs incurred by COMPANY arising out of a breach of Artists’ representations and warranties hereunder, provided such claims are not covered by COMPANY’s indemnification obligations hereunder. COMPANY represents and warrants that it, through its duly authorized agents and representatives, has the full right and authority to enter into and to fully perform the terms and obligations under this Agreement, that all rights in and to its contributions to the Proposals and any other Materials are solely owned and controlled by COMPANY, and contributions to the Proposals, the Materials or the Series do not and will not violate or infringe upon the rights of any person or entity. COMPANY shall indemnify, defend and hold harmless Artists from any claims and/or costs incurred, including, but not limited to reasonable outside attorneys’ fees incurred by Artists arising out of a breach of COMPANY’s breach of this Agreement and any representations and warranties hereunder, or the development, production, and exploitation of a Series or derivatives thereof, provided such claims are not covered by Artists’ indemnification obligations hereunder. COMPANY shall obtain and add Artists as additional named insured to any commercial liability and/or errors & omissions policies obtained in connection with this Agreement. COMPANY warrants and represents that it shall maintain complete and accurate records and documentation regarding all matters pertaining to this Agreement as they relate to Artists’ participation in back-end MAGR and episodic fee and any other rights of Artists under this Agreement. Artists represent and warrant that, both during this Agreement and after its expiration or termination, Artists shall keep strictly confidential all financial and creative matters relating to the Series, COMPANY, Financier, or any of their parents, affiliates or subsidiaries, which have not been published or publicly announced, including but not limited to the compensation of personnel and performers, union or guild requirements, production budgets, story ideas, story content, works in progress, confidential or exclusive information, story leads and tips (the “Confidential Information”); provided however, that Artists may divulge the Confidential Information to those parties and to the extent required by a valid governmental order or regulation, and further that Artists may divulge the contents of this Agreement to Artist’s lawyers, accountants and other business representatives. Without limiting the foregoing, Artists shall not appropriate any of the Confidential Information for Artist’s own gain or that of any third party. COMPANY represents and warrants that, both during this Agreement and after its expiration or termination, COMPANY shall keep strictly confidential all financial and creative matters relating to the Series, Artists, Financier, or any of their parents, affiliates or subsidiaries, which have not been published or publicly announced, including but not limited to the compensation of personnel and performers, union or guild requirements, production budgets, story ideas, story content, works in progress, confidential or exclusive information, story leads and tips (the “Confidential Information”); provided however, that COMPANY may divulge the Confidential Information to those parties and to the extent required by a valid governmental order or regulation, and further that COMPANY may divulge the contents of this Agreement to Artist’s lawyers, accountants and other business representatives. Without limiting the foregoing, COMPANY shall not appropriate any of the Confidential Information for COMPANY’s own gain or that of any third party. If either Party should breach any of the terms of this Agreement, including, without limitation, any failure or refusal to faithfully and completely perform each and every material covenant hereunder, upon the receipt of prior written notice from the non-breaching Party, and upon thirty days failure to cure said breach, the non-breaching Party shall be entitled to terminate this Agreement and shall suspend any and all of its obligations hereunder. A waiver of breach of any provision hereof shall not be deemed a waiver of any subsequent breach, whether of a similar or dissimilar nature, and shall not affect the non-breaching Party’s right to enforce such term or provision, or to exercise any right or remedy in the event of any other default. Artists’ rights and remedies in the event of any breach of this Agreement by COMPANY will be limited to the right, if any, to recover money damages in an action at law, and in no event will Artists be entitled by reason of any such breach to seek injunctive or other equitable relief or to enjoin or restrain the production, distribution, exhibition, advertising or any other means of exploitation of the Series/Creation of the Series or any subsidiary or ancillary rights in connection therewith. With the exception of Artists’ violation of Section 1.3, 1.4, COMPANY’s rights and remedies in the event of any breach of this Agreement by Artists or a claim by COMPANY in connection with this Agreement, will be limited to the right, if any, to recover money damages in an action at law, and in no event will COMPANY be entitled by reason of any such breach or claim to seek injunctive or other equitable relief or to enjoin or restrain the production, distribution, exhibition, advertising or any other means of exploitation of the Series/Creation of the Series or any subsidiary or ancillary rights in connection therewith. 7.1. This Agreement will be construed, interpreted and governed by the laws of the State of California applicable to contracts entirely made and originated therein. 7.2. This Agreement contains the entire understanding of the parties, and may be amended or modified only in writing as executed by both parties herein. For the sake of clarity, this Agreement shall supersede any prior or contemporaneous agreements between any of the Parties with regard to the subject matter hereto. 7.3. This Agreement shall not be construed as creating a partnership between the Parties. It is specifically understood that Artists are acting hereunder as independent contractors. *3-90-Minute TV Show Planning Sessions– We will get on the phone, Skype or Zoom for 90 minutes and work together to create, vision and design your show. We’ll assess your market, your gifts, your personality, hot topics and where they intersect to best create the initial 12 episodes of your show. 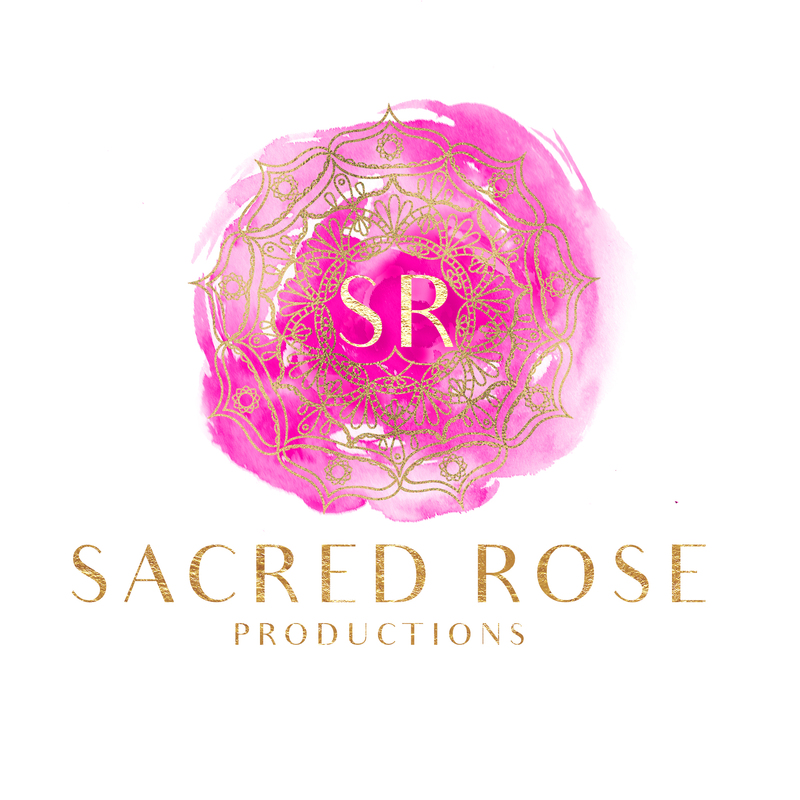 *Press Release About Your New Show – We will write and syndicate a Press Release for you about signing a production deal with Sacred Rose Productions along with the plan for our Divine Marketing Machine to promote the launch of your show globally. *Your Live TV Shoot Day(s) – We will shoot your show at the chosen location to film the 12 episodes of your show! Each episode is 30 minutes long with 20 minutes of content and you’ll receive the Divine Show Blueprint we’ll follow for each. *B Roll – We Will Also Film B Roll for the opening and closing – At the end of every episode we will direct people on how to participate and work with you on the show. We will film content to add into each episode to attract more viewers and help you grow your business. *We Will Post Your TV Show On The Divine Spirit Network – Included in your package is 30-days of distribution on the Divine Spirit Network which makes your show available on Apple TV. 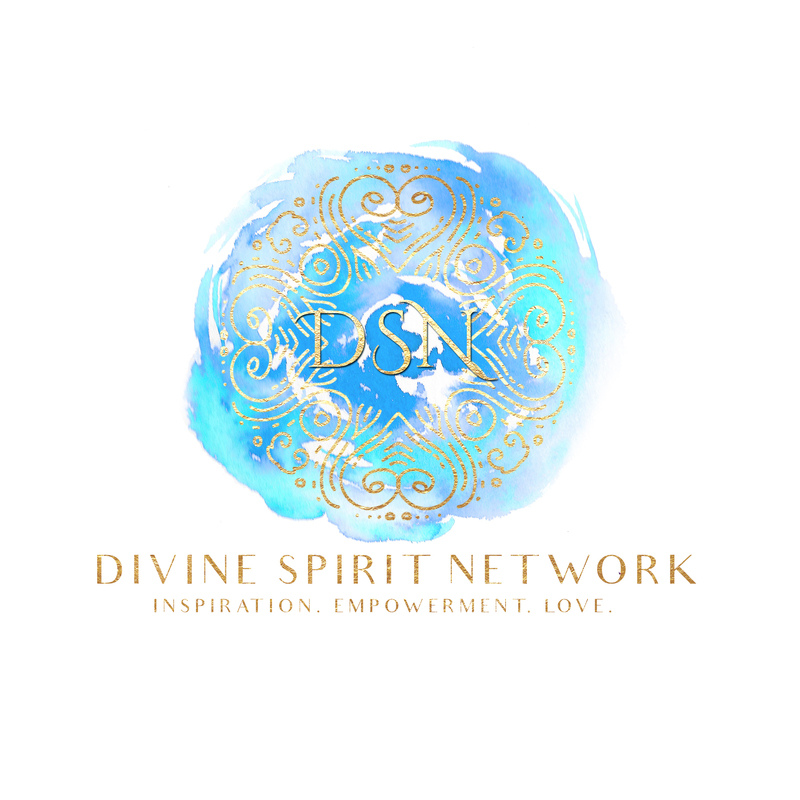 After the initial 30-days, you may continue to host your content on The Divine Spirit Network for only $297 per month if it has not been picked up by another network. #2 – 12 Months Of Support and Membership – As a bonus we want to ensure you get the training you need to show up powerfully not only on your TV Show, but on others and have all the tools to become the Divine Messenger you are called to be. 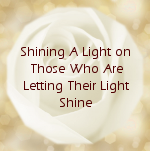 Once a month you will get live training and feedback from Orgena Rose and her team of experts so you show up authentically and confidently on camera, know how to do your own DIY videos that look professional (without a fancy camera crew, long hours or big budget) as well as access to our private Divine Messenger Facebook Community and be featured in our newsletter. #3 – Shows That Sell Masterclass – Learn how to monetize your shows and interviews, sell your products and services and receive sponsorship in this powerful training. #4 – Divine Spirit Store Placement – As a Divine Spirit Network Partner, your cause, products or services will be promoted through our Divine Spirit Store.